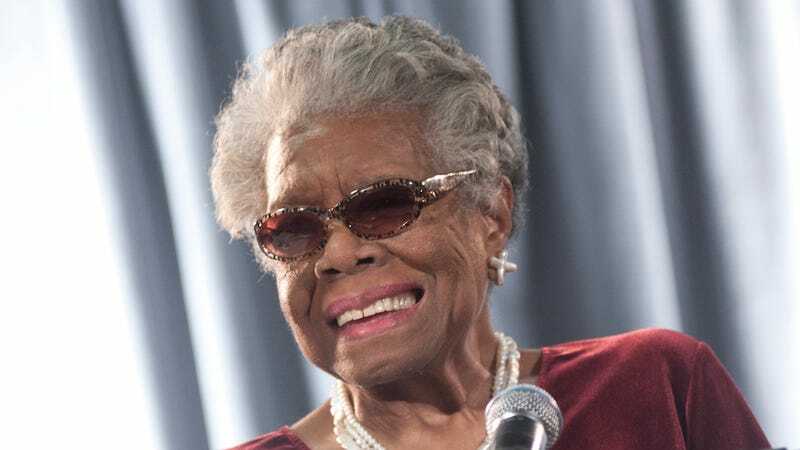 This November will see the release of one of Maya Angelou's final projects before her passing in May: a hip hop album featuring her words and lyrics entitled Caged Bird Songs. "Grandma loved it from the beginning," Colin A. Johnson [Angelou's grandson] said of the album's concept. "These guys were inspired by grandma's work, which many people are, and felt like giving it a different medium of delivery to make it more obtainable to a larger group of people." Johnson said his grandmother was a fan of hip-hop music. "She saw (hip-hop) as this generation's way of speaking and conveying a message," said Johnson, adding that Angelou had "great stories about interactions with Tupac (Shakur)." According to Johnson, this won't be the only posthumous release, as Angelou was working on several projects at the time of her death. Caged Bird Songs has 13 tracks and will be available through Smooch Music on November 4.